Provide students with two rectangles with holes pre punched. Have students lace them together to form shapes bag. 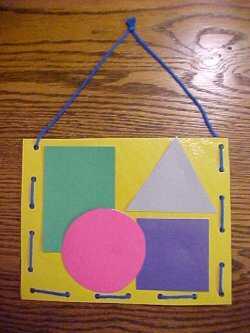 Provide students with outline of the four shapes. Have them cut out shapes and place in bag.